The Cost of Electricity – Where to Next? The likelihood of the cost of electricity coming down is slim to say the least. There is renewed pressure to find alternatives that provide sustainability, and with a good return on investment. The biggest issues we face is the constant increase in demand coupled with the higher cost of it. This is where we have seen a huge jump in solar energy, and on a commercial scale, wind turbines. The question still remains though – how do these secure a reliable and affordable alternative for the home owner? Is Solar all it is professed to be? This is a big question many home owners face when it comes to installing a grid connected system. The truth is that solar energy has not yet reached its full potential. There are still huge advances being made in terms of both the technology and the affordability. Before we go there though, let’s focus on the most common installation as we have it now, the grid connected system. The term is self explanatory. Your solar system is connected so as to feed ‘surplus’ energy back into the network for which you get a ‘rebate’. This ‘rebate’ is not a fixed rate for everyone pending on what incentives are available at the time. Although this sounds good, there are certain things to remember when it comes to a solar installation. You want to maximise the efficiency of your system, and as such, you need to have it maintained. Keep the solar panels clean as the dirt building up on top of the panels can hamper the efficiency rate. Another thing to consider is the life cycle of the panels. This is important to understand when you calculate the real savings the system offers. This is extremely exiting. First major advances that are hitting the market is the Tesla Powerwall. This system is fantastic news for those wanting to install a stand alone system. In other words, your solar system will charge the storage unit, and this is then used to run your home, office etc. Just when we thought that surely this has to be as far as it can go, along comes Tesla with the solar roof “tiles” This is going to revolutionise the solar industry as we know it. These roof tiles does it all. They look like tiles, but they provide your home with an entire roof of solar panels! No need to install the roof first and then add solar panels on top. 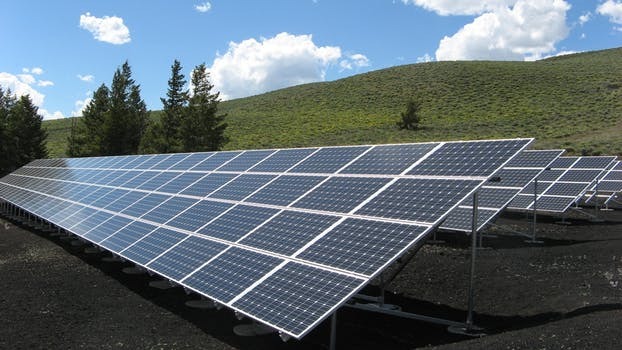 What if I am nor ‘Ready’ to install Solar Panels? Not everyone is in a position to install a solar system, but that does not mean you just have to accept the power consumption of your home. There are a number of things you can do to cut back on the energy consumption in your home. These include installing energy efficient lighting, learning to turn the lights off when you leave the room and overall be more aware of those items that you leave on ‘stand by’ all day even when you do not use them. Turn off the mobile phone chargers instead of just unplugging the phone, install individual solar lights outside rather than running conventional lighting. In short, Be Energy Smart! This post brought to you by Sparkyhelp. If you would like to find out how you can reduce the energy consumption of your home, give us a call and let’s find ways to save you money. Thank you for all the needed information.